Product prices and availability are accurate as of 2019-04-18 05:05:17 UTC and are subject to change. Any price and availability information displayed on http://www.amazon.com/ at the time of purchase will apply to the purchase of this product. Melatonin is an important supplement to have in your home, not only for you, but also for your dog with cancer. In Chapter 8 of the Dog Cancer Survival Guide, Dr. Dressler writes that correcting a melatonin deficiency in your dog with cancer can help lessen cancer weightloss, reduce metastisis, lessen the side-effects of conventional treatments-- like chemotherapy and radiation-- and can help extend life expectancy. 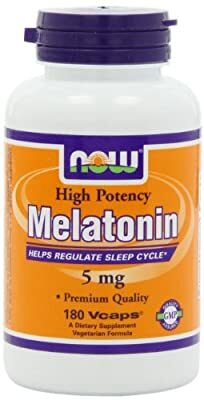 Using a melatonin supplement, like this one, can help to positively influence many crucial activities of the body and help fight cancer. We hope this tablet form of melatonin can help increase your dog's quality of sleep.